The industry's ONLY Laser Welded jumper. Download our factory fit jumper data sheets or request a quote today. where traditional jumpers fall short? 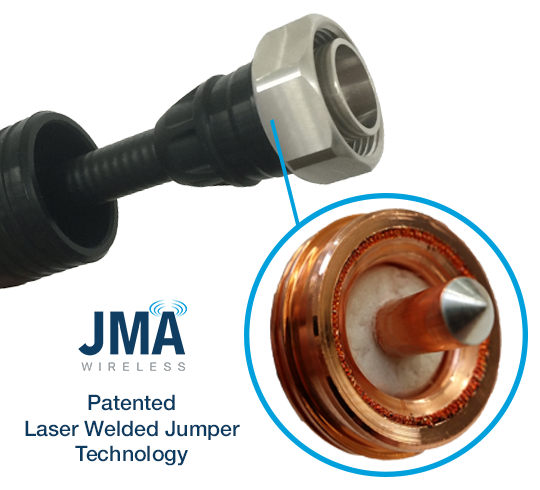 JMA Wireless laser welded jumpers excel where traditional jumpers fall short. What sets us apart from traditional jumper manufacturing? Laser welded jumpers use internal and external seals to provide redundant moisture sealing in addition to our Weather Protection Systems which are available with any jumper order. Our patented laser welding technology utilizes a vision system for accurate and consistent fusion of the outer conductor to the connector. Our laser welding process uses a very focused beam to eliminate any chance of melting the dielectric due to excessive heat. Our laser welded jumpers pass ALL enhanced testing including: moisture, vibration, thermal shock and dynamic PIM. 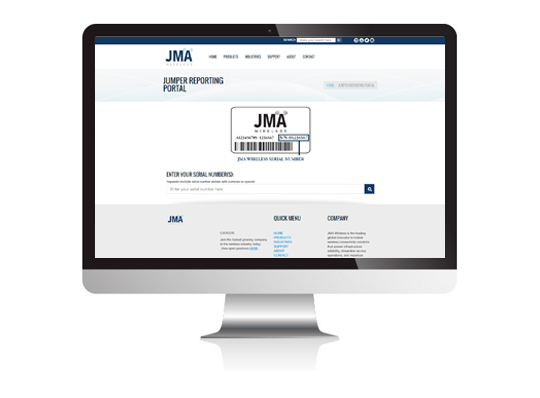 Visit our laser welded jumper Performance Results Portal to quickly view our jumper test results. Every laser welded jumper is assigned a unique serial number with test results available via the portal 24/7. Our laser welded jumper production process ensures reliable PIM and return loss performance. Industry leading specifications result in superior network reliability. Experience Unmatched PIM Performance Today!